White with a gray head and dark bill, the wood stork is a large, long-legged wading bird. It stands more than 3 feet tall and has a wingspan of 5 feet. It is the only stork with breeding populations in the United States. Wood storks feed on small fishes that they find primarily with their beaks. They spend most of their time in wetlands and marshes, where plants and muddy water make it hard to see their prey. Wood storks usually nest in cypress and mangrove swamps. Nesting wood storks are found in Florida, Georgia and South Carolina, though they will move north into North Carolina and west into Mississippi after the nesting season. Wood stork breeding populations declined by over 75 percent between 1930 and 1984. Water control methods — levees, canals, floodgates — in places like the Everglades changed the availability of appropriate habitat and prey. 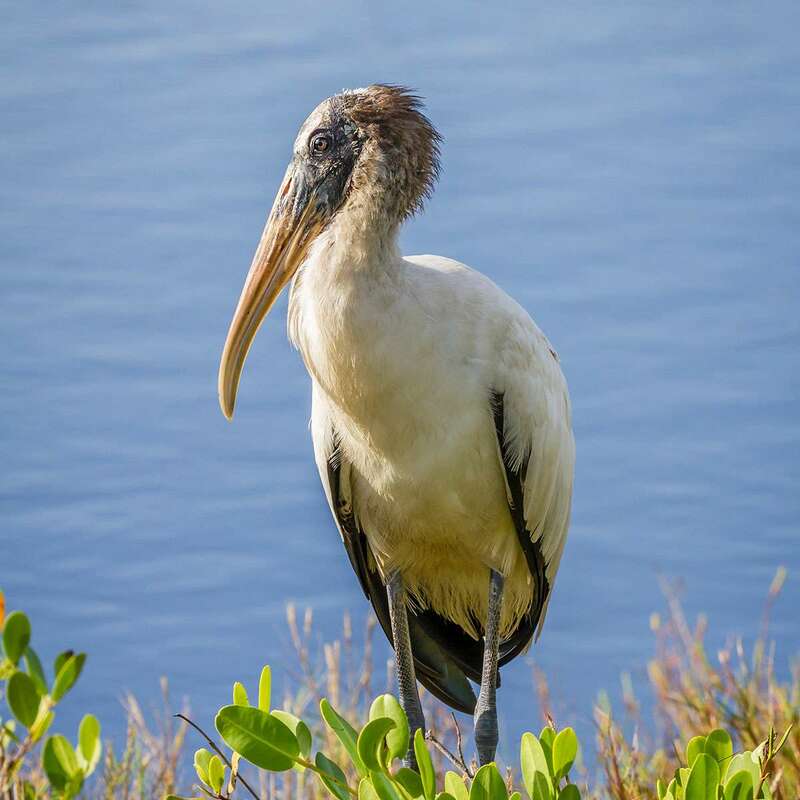 In 2014, the wood stork was reclassified from endangered to threatened as increases in its breeding populations and range reduced the danger of extinction. To ensure continued recovery, the protection and restoration of its nesting and foraging habitat is a priority. Officials continue to study the species to ensure their recovery efforts are as effective as possible. 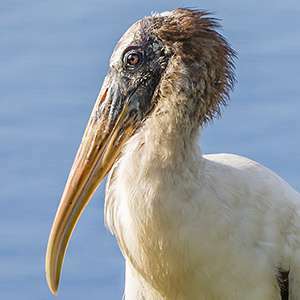 NPCA is working to protect the threatened wood stork by leading the charge to restore freshwater flow to Everglades National Park.